In a competitive industry cluttered with information, how do you get your story through? Using real-world examples, Robin Esrock discusses the impact of storytelling as a means of connecting with both media and consumers. He offers advice and suggestions gleaned from working with dozens of major publications and hundreds of tourism organizations. Having explored over 100 countries on 7 continents, bestselling author and TV host ROBIN ESROCK helps us break through the personal and professional boundaries that often stand in our way. He speaks on the challenges of innovation, transformation, recognizing potential, and achieving Big Hairy Audacious Goals. Drawing on his fascinating adventures, Esrock inspires audiences with stunning visuals and stories alongside positive, practical strategies. 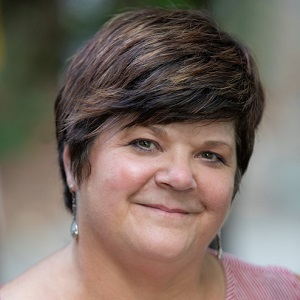 Robin Esrock’s stories and photography have been published in major publications worldwide, including The Chicago Tribune, National Geographic Traveller, Toronto Star, Sydney Morning Herald, South China Morning Post, MSN, Mental Floss, and The Guardian. 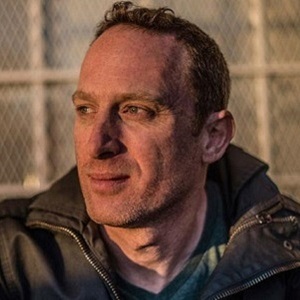 He has been profiled as a writer and adventurer by 60 Minutes Sports, CNN, MSNBC, the CBC, Associated Press, The Wall Street Journal, CTV, and many others. Creator and co-host of the 40-part TV series Word Travels, Esrock’s on-air adventures have been broadcast in over 100 countries and 21 languages by Travel Channel and National Geographic International. Esrock is the bestselling author of The Great Canadian Bucket List, which has been at the top of the Canadian Travel, History, and Arts and Photography chart on Amazon.ca for several years, as well as The Great Global Bucket List, which hit stores in September 2016. He was Master of Ceremonies for the prestigious Explorer’s Club Annual Dinner in New York, sharing the stage with the likes of Buzz Aldrin and Ken Burns, and has delivered enthusiastically received keynotes to corporate, government, education, medical, tourism, and real-estate conferences. A community is defined by more than simply the boundaries of the municipality. Building a strong community is not just the responsibility of the municipality. It requires partnerships, cooperation, and collaboration with many different groups and organizations. Fairs and exhibitions are a significant component of making sure communities offer a quality of life, and that means we must find new ways to work better together with municipalities. 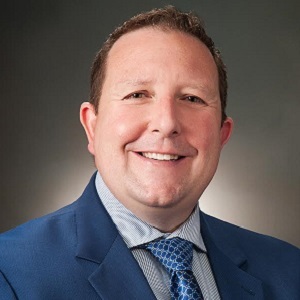 Doug Griffiths is the President and CEO of 13 Ways, Inc., a company he founded to provide consultation to struggling North American communities. He is a public speaker and co-author of the book 13 Ways to Kill Your Community, now in its 2nd edition. This book has become the go-to manual for community building in North America. He is an instructor with the Executive Education program at the University of Alberta School of Business. Doug receives exceptional praise for his truly dynamic keynotes. His book reflects his lively, thought-provoking character and delivers witty, revelatory and often startling insight on boosting community growth. Doug is both practical and fun, clear and conversational. He inspires every audience he reaches to be bold and take action in their communities. Join Tim Reid as he shares insight on organization change from two different perspectives - one of downsizing and one of growth. During his time with Northlands Edmonton, Tim led his team through significant changes to the organization's business model as it experienced a 500% revenue decline. With the opening of a new downtown arena that became the Edmonton Oilers's new home, Northlands faced the need to reimagine the organization's future to ensure its sustainability. Fast forward to 2018 as Tim now leads the Regina Exhibition Association Limited (REAL) - operator of Evraz Place in Regina - towards a renewed future. The organization has experienced considerable revenue growth with new facilities and new opportunities on the 100-acre property. REAL has outlived its current strategic plan and Tim is now leading the team through change toward building a future property plan that will ensure relevancy for Regina residents so they can continue to experience sport, recreation, business and entertainment events that enhance quality of life. Learn from Tim's experience and take away tips and tricks for successfully leading change in your own organization. Tim Reid joined The Regina Exhibition Association Limited (REAL) in March 2018, coming to the organization from Northlands Edmonton. He has extensive experience in leading and transforming entertainment and recreation facilities towards a sustainable future, given market changes, aging infrastructure and a need to continue bringing a positive economic impact to communities. With millions of annual visitors and several multi-purpose venues at Evraz Place, the facility that is operated by REAL, Tim’s visionary leadership will help transform the organization to renewed era of delivering excellent sport, business and entertainment experiences to the Regina and area community. Tim’s vision extends beyond the 100-acre property toward building a modern entertainment district where the community lives, works and plays. Tim joined Northlands as President and CEO in September 2014. His role was to lead one of Edmonton’s oldest institutions through a period of evolution. He injected an entrepreneurial spirit back into an organization that was created by visionaries nearly 140 years ago. Tim brought to Northlands his unparalleled experience in revolutionizing entertainment and recreation facilities across Canada. Throughout his time at Northlands, Tim was instrumental in pushing the organization into a new era where positive staff culture, long-term planning and people were paramount to the organization’s success. In October 2014, Tim was instrumental in the creation of the Northlands Arena Strategy Committee that made the recommendation to repurpose Rexall Place. Tim was pleased to be a part of a plan based on a combination of best practices, community input and strong financial planning. 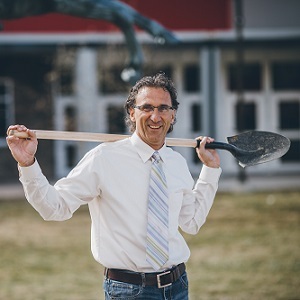 Prior to Northlands, Tim acted as the Chief Executive Officer of the Regional Recreation Corporation of Wood Buffalo (RRC)—an entity developed to deliver excellence in sport, recreation and event experiences across the Wood Buffalo region. It’s here where Tim oversaw the operation of MacDonald Island Park – Canada’s largest community recreation and events experience – and led the commissioning and opening of the $181-million Suncor Community Leisure Centre. Previous to his tenure at as CEO of the RRC, Tim led the Centennial Centre in Bonnyville, Alberta and was involved with the opening of the Charles V. Keating Millennium Centre at Saint Francis Xavier University. Tim was named as one of Alberta’s Top 50 Most Influential individuals by Alberta Venture Magazine in 2013 and one of Your McMurray Magazine’s Top 20 Influencers of 2013 in the Woof Buffalo Region. Tim is enjoying his new home of Regina with his wife Nathalie and two young sons, Liam and Eli. Volunteers Here! Volunteers There! Volunteers Everywhere! Sheena believes in the power creativity and resiliency in building strong communities. 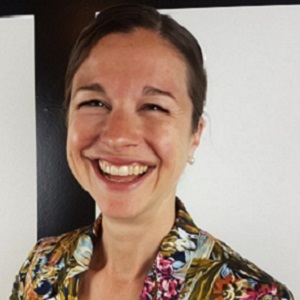 With a background in education, Sheena has worked in the non-profit and public sector in Canada and internationally for a decade in various capacities including community development, people engagement, organization learning and recreation. She thrives when building relationships that nurture and empower people. GOVERNANCE: You have it – now WIN AT IT! Every society has a Board of Governors. If you aren’t sure how the Board works, or why the Board is needed, or what the Board does or doesn’t do – this is the session for you. So often we don’t understand or know how important good Governance is. And we don’t know how easy good Governance can be. Discover the 4 main elements of good Governance: Authority, Decisions, Accountability and Systems & Procedures. Know and understand these 4 main elements of good Governance so you are planning effectively and can exploit your strategic advantage! Master the behind-the-scenes governance and your fair or exhibition flourishes! 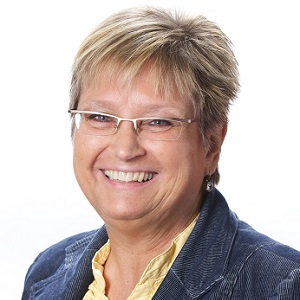 Roxann Amyotte, President of Marox Consulting Group Ltd., has 25+ years of experience in capacity building, philanthropy, employee training and mentoring, and leading and managing successful teams in the public, private, non-profit and volunteer sectors. She is a Governance specialist, and has cultivated a reputation for helping organizations develop excellent Board governance, transitioning boards from an Administrative role to a Policy role, and improving workplaces by developing systems and processes. Roxann is skilled in participant engagement. She applies an expert and objective viewpoint to your thought process to help you clarify issues and understand what is needed. Roxann facilitates light-bulb moments and inspires action! In this session, participants will learn and examine what customer service is, how to build positive customer relations as well as how to maintain those relations. Finally, participants will learn how to raise the bar and an understanding of how great customer service is imperative to the longevity and continued growth of your event. There is much to say about this unique character who has worn so many hats and been so instrumental to the amusement industry since 1977 where he started his career at the Calgary Stampede. In 1990, he was Controller for Conklin Shows and in 1997 became the Vice-President. He draws from a multi-faceted, 40 year plus work history – countless layers of management, marketing, and accounting, RFP’s and Fair Liaison, as well as an award-winning photographer in the fair industry. Currently, Scooter is at North American Midway Entertainment where he has been influential in developing North American Midway Entertainment’s employee incentive program and in pioneering the E-ticket system all over North America. His advance sales programs were the 1st ever to reach a million dollars. 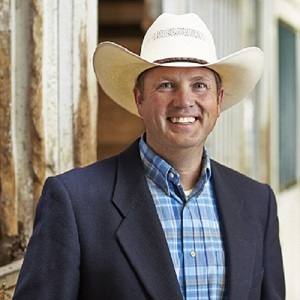 He is an active member and the President of the Canadian Association of Fairs and Exhibitions and has also served on the Travel Alberta Advisory Council from 2000-2008. Bennett Kavals,Personnel Office Manager - North American Midway Entertainment. Bennett hails out of Toronto, Ontario and obtained a degree of Bachelor of Arts from Wilfrid Laurier University in Waterloo. Bennett joined forces with North American Midway in 2013 in his first role as a National Media Representative on the International Unit. From that point on, Bennett has been involved in NAME's in-house rotational employee development program exposing him to all the different departments, aspects and intricacies of the Outdoor Amusement Business. Today, Bennett is currently managing the Personnel office on NAME’s International Unit, which primarily serves the Canadian events. He is responsible for the administrative side of NAME’s rigorous Ride Maintenance and Employee Training programs. His office plays a vital role in various daily Human Resource functions including staff allocation, payroll, employee housing and the hundreds (or thousands) of local employees that NAME hires across the country to supplement its travelling staff from across the globe. Bennett has yet to meet a challenge in the carnival business he has not he excelled in. North American Midway often refer to the fact that the future looks very bright and Bennett will play a key operational role at NAME in years to come. Agriculture is an important component of every fair and fairs are a great place for the public to learn about animals and the people who raise them. Good biosecurity practices help to keep animals and people healthy and events successful. With 75 percent of new, "emerging" infectious diseases considered zoonotic, or diseases humans and animals can share, a thorough biosecurity plan and practice can help to keep everyone healthy. Fairs pose unique risks for disease introduction and spread. The frequency and number of animals and humans moving around the grounds and the comingling of animals, all increase challenges for disease control. To minimize risks, fair organizers can implement a biosecurity plan. But with so many different livestock species and people in one place, where do you start. This session will walk you through the steps to get you started. You will leave with a roadmap that you can use to develop your own plan. As a fair we have a responsibility to our exhibitors, their animals, and the public to create a place where they can have fun and create memories for years to come. Christina has 22 years in the agriculture and events industry, her experiences on the exhibitor side as well as the management side lets her see all perspectives and allows her to create programing that makes sense. Christina is passionate about bringing agriculture and education to the public in a fun and experiential way. The fair industry has provided her with the opportunity to do just that. 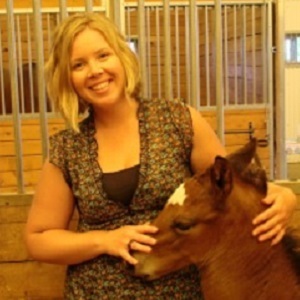 In her current role as the Assistant Agriculture Manager at Westerner Park in Red Deer Alberta, Christina has the opportunity to work with many different livestock shows creating an interactive and educational experience for her community. We live in the “best of times” and the “worst of times” when it comes to marketing in large urban centres. On the positive side, there is enormous potential for growth and more channels than ever to get our message out. On the down side, consumption of media is more fragmented than ever, with different people consuming information in many different ways. The days of “one size fits all” campaigns are pretty much over. This session will explore ways in which to better understand the demographics of your region, behavioral patterns within these demographics, and how to tailor your marketing message accordingly. It will also look into how to mobilize your assets above and beyond your paid media buy, and how to create content to help generate media coverage in a time when media outlets are increasingly under resourced. 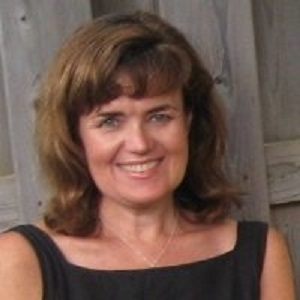 Karen Lynch has served as Director of Marketing and Communications for the Canadian National Exhibition (CNE) since 2004. Having studied English Literature (of all things) at Montréal’s Concordia University and the University of Toronto, she started her career working for a variety of arts organizations and festivals before becoming Director of Public Relations at the Canadian Opera Company (COC) for seven years. Subsequent to her time at the COC, and prior to joining the CNE, Karen had her own small Marketing & Communications company. Her clients included The Honourable Hilary M. Weston, Lieutenant Governor of Ontario; Toronto’s Benson & Hedges Symphony of Fire; the Governor General Performing Arts Awards; and a motely crew of other characters. From the sublime to the ridiculous, Karen continues to enjoy learning every day about marketing and communications in the mercurial and ever-evolving environment in which we live. Food…. Wow has it changed, from the humble beginnings of the corndog and cotton candy to extreme challenges and once in a life time flavours. The fair food landscape has transformed in recent years from being a necessity to being your primary reason for attending. Successful fair management with concessionaries can revitalize businesses, drive attendance and forever change your social media presence. 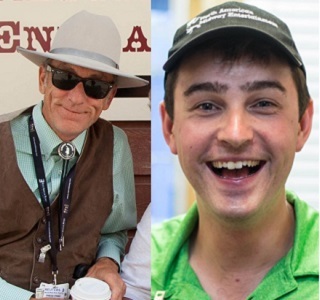 Learn tactics that the Calgary Stampede uses to foster relationships and change the food landscape. James Radke has been with the Calgary Stamped for the last 13 years, 2018 will be his 14th Stampede. James is responsible for overseeing midway planning, space allocation, Food and New food programs, Skyride Operations, Staff liaison for the Western showcase Committee and the Concessions and Exhibits Committee, on-site liaison with North American Midway Entertainment and layout for various outdoor areas, including quality, aesthetics, guest flow and variety. James has written (with help from his team) three article to support the industry · Six principles of Booth Design · Fair/Exhibition Penalty Matrix · How Assessments and Evaluations Can Help Your Fair! James also worked with the IAFE Concession and Exhibits committee to create the Transfer of Ownership white paper. Operating costs continue to increase, the marketplace is cluttered with messaging to your target customers and companies are looking critically at their sponsorships, eliminating those that do not deliver a measurable return on investment. Long gone are the days when gold, silver and bronze sponsorship packages were sufficient to secure sponsors. Laura Richard, Executive Vice President and Partner at TACK10 will take you through a game-changing approach to working with brands, supporting new thinking around how and where companies can support you in achieving organizational objectives through integrated partnerships. From the Vancouver 2010 Olympics to WE Charity, RBC to Telus and French’s to Deloitte; Laura’s teams have introduced a new way to connect and drive engagement for over 100 leading brands. Laura’s passion and expertise is pushing brands and properties to think past the status quo and identify opportunities for the development of meaningful strategic partnerships, which is fundamental in today’s marketplace to driving maximum value from partnerships. Booking entertainment can be a daunting task. How do you negotiate without ruining the relationship? What sort of acts should you look for? How do you know they're even any good? What does "routing" mean and how can you use it to your advantage? Join this panel for a discussion on the best practices of booking entertainment and the tips they've learned over the years. Susan Kuzma is the Manager of Special Events and has 38 years of experience at Prairieland Park in producing and co-managing a number of annual events including Gardenscape, numerous cabarets, touring and self-produced live stage productions as well as overseeing Prairieland Park’s flagship event, the Saskatoon Exhibition. As an active member of many fair and event associations, she keeps on top of trends in entertainment buying and event production. 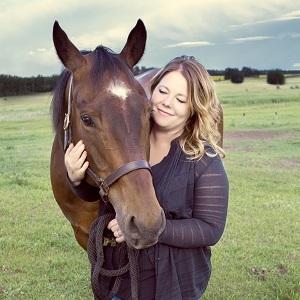 Chelsea Galloway is the Manager of Events and Entertainment for Regina Exhibition Association Limited (REAL) which includes the role of Show Manager for the Queen City Ex. 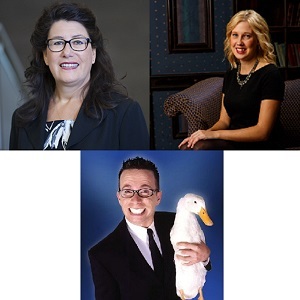 Prior to her role at REAL she was the Director of Business Development for the Regina Hotel Association, where she travelled across Canada promoting Regina as the ideal host for conventions and events of all sizes. In addition, Galloway oversaw the sponsorship negotiation and fulfillment of over 50 events, conventions and tourism partners each year. A passion for events and live entertainment has led to work on all types of events from small trade shows to major concerts and sporting events. 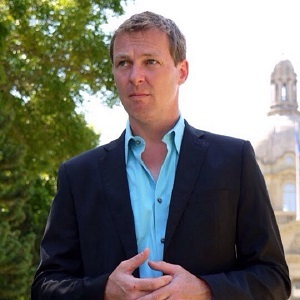 Born and raised in Regina, Saskatchewan, Galloway holds a Bachelor of Business Administration with a major in Marketing from the University of Regina and a Certificate in Entertainment Management from the University of Montana. According to Galloway, her favourite part of working in the fair industry is the number of elements that have to come together to put on a fair. It constantly keeps you on your toes trying to create the most appealing line up, from food, rides, entertainers, and major grandstand acts. It’s one giant puzzle, piecing it all together to create the perfect event. With over 40 countries thanks to a deck of cards and a duck, Andrew Pogson has become one of the most diverse comedy entertainers touring today. Maintaining over 300+ days a year on the road it's no wonder why he's become the "go to" guy on strategic thinking in the industry. Founder of FUSION Talent Group who represents the finest variety entertainment and attractions in the world for theatres, theme parks and cruise lines. Overseeing an in house department focused on innovation and creating "what's next" in the market. A true one stop shop and strategic partner in forecasting the tends coming into the industry. Today’s consumers are digitally connected. They look for and expect great experiences. They’ve gotten used to having information at their fingertips, control, and convenience. Consumer events attract many thousands of guests, however environments offered, online and on-site, are often behind the times. Fairs, festivals, and exhibitions have an opportunity to level the playing field. Find out effective ways to grow traffic, engage attendees, sell more products, capture key data and insights, and more. 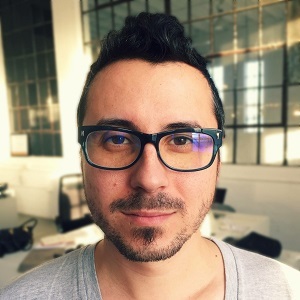 Marc Chriqui is the founder and CEO of Numnu, a mobile-first marketing, engagement, and commerce platform for consumer events such as fairs, festivals, and exhibitions. A driven tech entrepreneur, Marc is the former president of Raymark, a global enterprise retail software company providing solutions for point of sale, customer engagement, loyalty, merchandising, and data analytics to prestigious international brands such as Dior, Saks Fifth Avenue, Tory Burch, Oscar De La Renta, Escada, Levi’s, Nike, and New Balance. Raymark was strategically acquired by Mi9 Retail in 2015. In addition to his work at Numnu, Marc serves as a mentor at leading tech startup accelerators FounderFuel and Founder Institute. Marc’s mission and passion are to empower and bring commerce back to local communities by leveling the technology playing field. Fairs and exhibitions provide many unique challenges to waste diversion. This session will demonstrate how fairs and exhibitions can develop a zero waste strategy to fit the unique environment and requirements. On average fairs and exhibitions can create over 50 MT of waste over per day. Add agriculture waste, multiple vendors, guest and rides, the number of waste streams is complex to start. It is a big and bold move to implement a zero waste strategy to reduce waste going into the landfill. A zero waste plan takes a multiple of resources including financial, knowledge, human and infrastructure. This session will show how aligning your zero waste plans to a sponsorship opportunity can provide all the essential resources and move the results forward faster. Karen is a resourceful professional who combines her event design, hospitality and business experience in delivering the financial rewards of well executed initiatives. 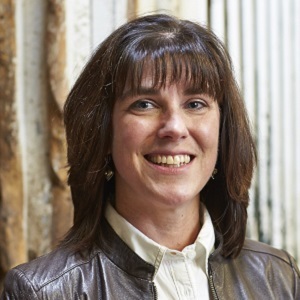 As the Director of Corporate Partnerships with the Pacific National Exhibition, Karen is responsible for connecting partners to partnership solutions that deliver business, social and brand impact for corporations. In addition to corporate partnerships, Karen leads the PNE’s strategic initiatives supporting their passions of community, education and sustainability. The strength of Snapchat and Instagram are no longer debatable, however, how to leverage them and which one you, as a business, should be placing your limited resources into is now the million dollar question..
Not only will we dive into which channel is more suitable for your business by analyzing the differences between the two, we’ll also show how to truly take advantage of the most visual platform in showing off your industry, from storytelling to measuring success. There are few things people desire more than a unique experience, one of those being behind-the-scenes exclusivity, and there’s no greater story to tell than that of the timeless fair! Facebook is still the biggest player in the social media marketing game, and for good reason. It’s ability to target specific audiences based on interests is like no other, from retargeting someone who has simply liked a comment on your post, to finding new customers to engage with, Facebook is the Grandfather. We’ll show you more than just what Facebook advertising can do, we’ll show you how to build audiences with specific interests, locations, and media so your marketing can do its job in a new city before you even get there. 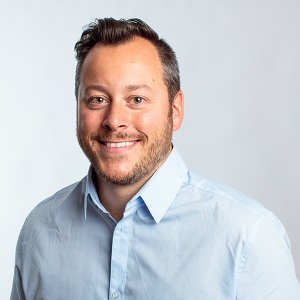 Dario Hudon-Verrelli is the founder of Octopus & Son Social Media Inc., a digital marketing agency in Calgary, Alberta that has been focusing on engagement as a primary metric for the past 6 years. He teaches both Digital Marketing Strategy and Facebook for Business at Mount Royal University and serves on the IMC Advisory Committee at the Chiu School of Business. Outside of these endeavours, his passions include traveling (but not flying), where he has had the joy of living abroad several times, social sciences and the presence of his young son, Félix, whom he affectionately calls The Fatness. This session allows participants to gain a stronger understanding of the organizational benefits of creating a strategic plan, topics will include the whys, hows and when of developing your plan. Understanding the journey of having a plan and sharing in discussion with fellow fair members your thoughts on creating your plan will be fun and ultimately of great value. For those members that currently have a plan this is a great refresher. This session will build on the previous day’s strategic session and allows you to work in a workshop format to review or start creating the framework for your strategic plan. Whether you are starting from ground zero or have developed material-the opportunity to learn, test and discuss planning with other fairs will be invaluable. Max Fritz is a not for profit advisor with a focus on leading and facilitating strategy and business planning. Fairs and exhibitions play an important role in continually strengthening communities - preparedness in an increasingly competitive landscape is becoming an important, if not a critical journey. With over 30 years of experience in the fair and exhibition business, Max provides a wealth of knowledge, offering unique perspectives as a facilitator for the not for profit sector in strategic planning, organizational effectiveness, park planning, facility design, programming and animal welfare. Government is complex and dynamic. What are some ways to engage and communicate with local, provincial and federal officials to achieve positive benefit? How do you tell your story as part of the Canada’s fairs and exhibitions and within your community and region? Join the session to discuss and learn some tips and tricks, strategies and key steps to putting together a plan that connects with key government officials at all levels and supports an organization to achieve and further its goals. Alison is a community and government relations professional with over thirty years of experience in both the public and private sectors. She is currently Government Relations Manager with the Calgary Stampede with oversight to all levels of government. Prior to joining the Stampede, Alison provided strategic counsel to the Mayor of Calgary through three terms in the planning and execution of his community relations portfolio. She has worked in post-secondary education and as a consultant. Her expertise working within and with government is the foundation for a deep understanding of how to communicate with and build relationships with key decision makers and stakeholders influencing government. Along with her professional career, Alison has volunteered with a variety of organizations and is a past director of Osteoporosis Canada Board and the Board of WordFest – Calgary. She has a BA (Communications) from UofC and an EMBA from the Haskayne School of Business.